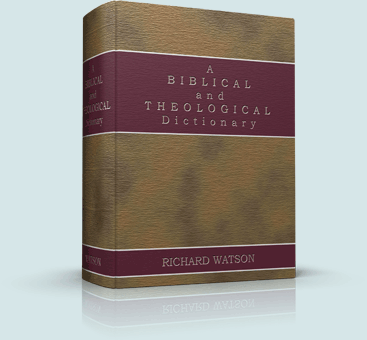 A Biblical and Theological Dictionary, by Richard Watson is a concise Biblical reference and topical work. "...compiled from the best sources ancient and modern, with the addition of many original articles, the selections have been made with reference to what was thought most useful; and thus many things of minor importance... have been excluded." The result is a work dense with information but much shorter and easier to read than many other references. 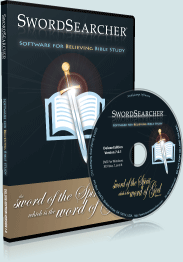 As with other Bible dictionaries in SwordSearcher, all of the verse references are linked and optionally available right in the Bible margin, or by Verse Guide lookup, so you can quickly access the entries by name or by verse. Waston, Richard: a Wesleyan theologian, was born at Barton-upon-Humber, Lincolnshire, Feb. 22, 1781. Physically feeble, he had a precocious mind, and against poverty and great difficulties he bent his energies to the acquisition of knowledge... 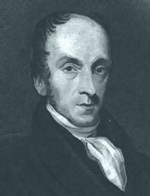 He was active in the formation of the Wesleyan Missionary Society in 1813 (not formally inaugurated until 1817), and was made one of its secretaries in 1816, retaining the office for fourteen years. Besides attending to the duties of this office, he devoted himself to the theological training of candidates for the mission work. In 1826 he was elevated to the presidency of the Conference... [Watson] was strongly opposed to slavery and intimate with Buxton, Lushington, and other leaders in the antislavery movement... Disease had been gnawing at his vitals all his life; but with devotion indomitable he still wrote. He died, after intense suffering, Jan. 8, 1833. Watson's character was one of great beauty. His humility and piety never shone brighter than at the time of his greatest popularity; and sympathy, tenderness, and strength blended in a spirit purified by fire. How many felt the power of his presence! "A figure so tall and, thin is seldom to be seen, yet there was something majestic in his gait and manner, and, when his head was bared, the outbeamings of intelligence bespoke the genius which was concealed there, and a kind of awe was felt which indicated the presence of a superior being" (Stevenson, Hist. of City Road Chapel, p. 564). Watson's influence has been great and enduring. His premature death was greatly lamented; but, "with an intellect so intense, mental labor so abundant and untiring, activity so incessant, and feelings so deep, we are not surprised that Watson fell a martyr to his exertions in the midst of his years" (Lond. Quar. Review, 1854, p. 237).